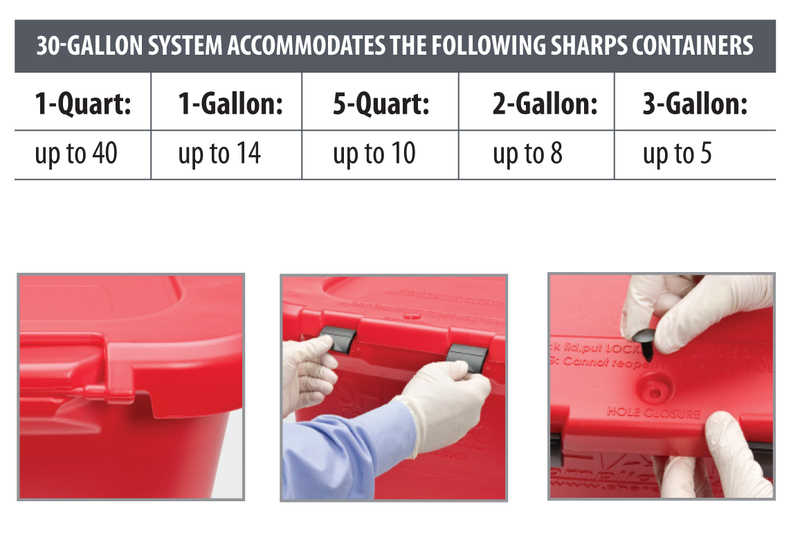 A versatile and cost-effective solution for the proper management of used healthcare materials including sharps containers. The new and larger system eliminates the need for a costly pickup service. 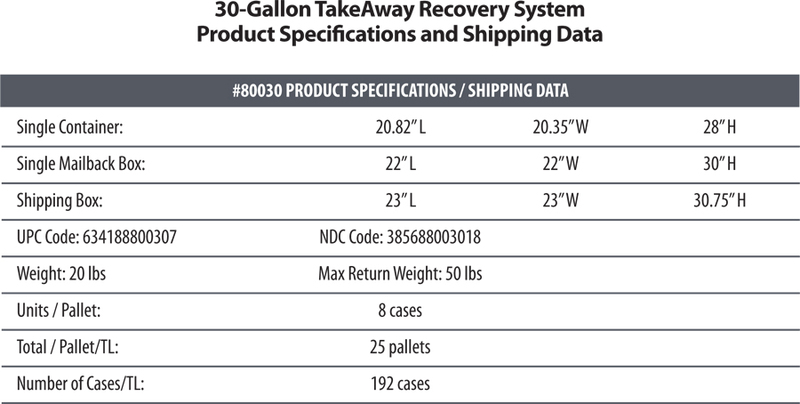 When ready, simply use the included pre-paid return packaging to ship back to Sharps Compliance for proper treatment. Accommodates your existing sharps containers. Holds up to 50 lbs. 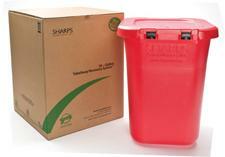 of both sharps containers and used healthcare materials.